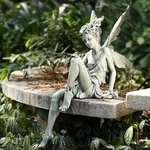 There’s no better way to add enchantment and whimsy to your backyard garden than by creating a paradise for a family of magnificent, magical outdoor garden fairies. 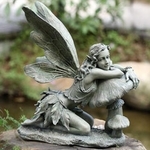 The mythical winged beings are said to inspire wonder and creativity among those who believe in them, opening up the doors for a truly unique outdoor utopia. 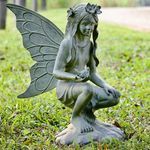 Fairy experts say miniature fairies are attracted to flowers and laughter, so there’s no better place for them than your patio and garden! 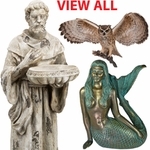 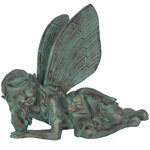 From miniature fairy sets that come with six tiny creatures to a large garden fairy that features an exquisite bronze patina, this selection of winged wonders is sure to include the ideal addition to your outdoor space. 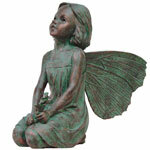 We carry a huge portion of the Suffolk Fairies Collection, including the best-selling Rebecca, Emily, Caroline and Penelope fairies. 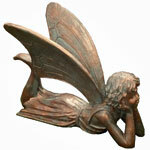 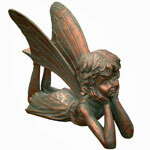 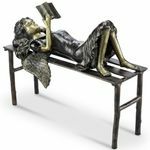 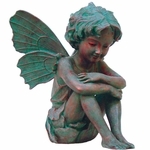 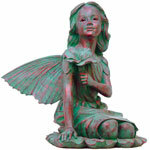 These delicate, hand-crafted resin garden fairy statues are made with the finest resin materials available and are individually finished with a distressed bronze patina. 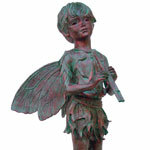 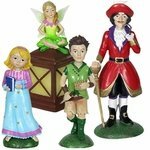 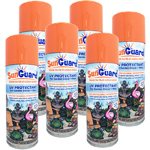 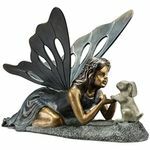 Each Suffolk fairy has its own character and personality and ranges in size from 12 to 32 inches tall to offer a delightful allure to your fairy-friendly oasis. 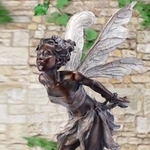 For a truly magical must-have, we carry an enchanting array of LED outdoor garden fairies that features solar-powered orbs that harness the power of the sun. 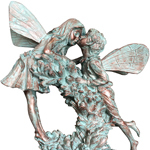 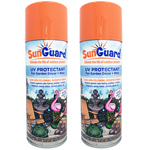 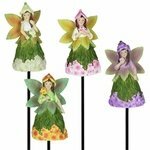 With a huge selection of designs to choose from, including kissing fairies and sleeping cherubs, these solar garden fairies are truly magical. 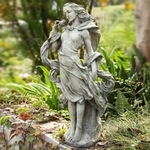 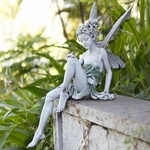 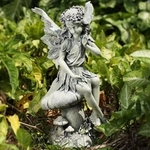 These garden fairy statues are made from durable, weatherproof resin and feature a popular slate finish appearance for a seasoned look. 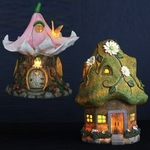 Now all you need is a welcoming home for your fairy family, so we’ve got the perfect solar fairy house to help keep them safe. 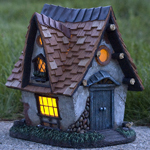 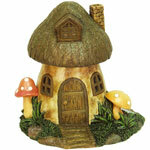 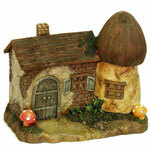 This adorable adornment features a solar panel that lights the window of the miniature house at night.